Ever looked at a building and wondered if it’s a Bauhaus or Modernist style? 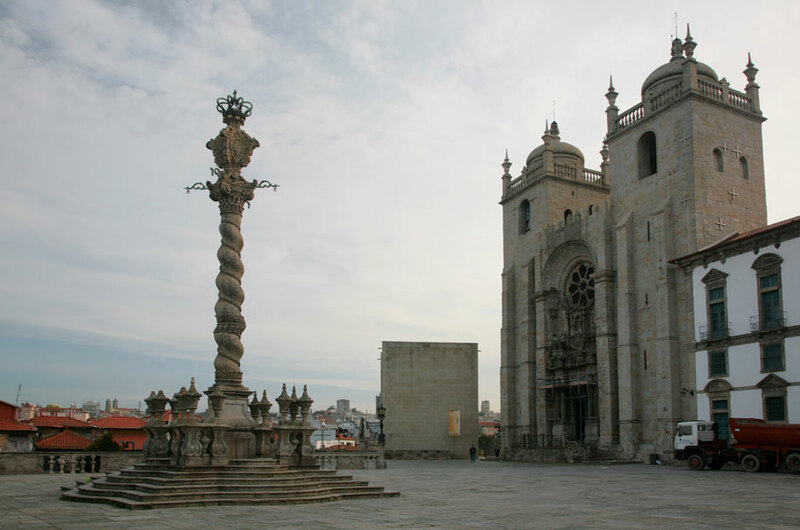 Romanesque or Neo-Classical? There are many architectural clues to consider, especially when a building has lived through several periods, gathering traits as it ages. We’ve selected 10 key styles and their characteristics to help narrow the playing field when out sight seeing. 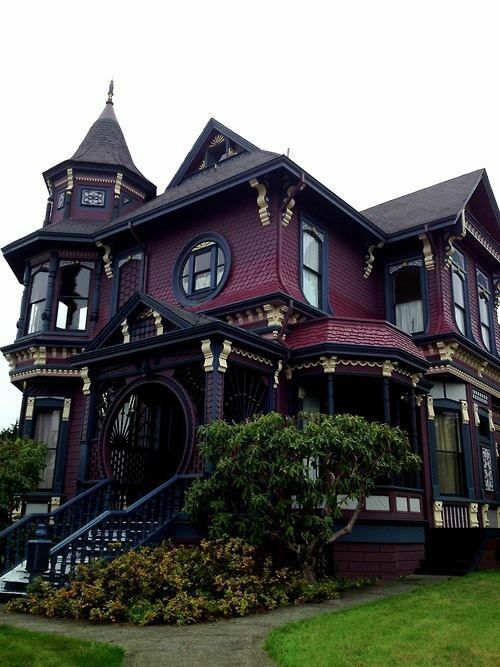 The Victorian Era (mid to late 19th Century) saw a return of many architectural styles including Gothic Revival, Tudor and Romanesque as well as influences from Asia and the Middle East. During the industrial revolution, many homes were built in the Victorian style as part of the housing boom. Key features: ‘Dollhouse’ effect with elaborate trim, sash windows, bay windows, imposing 2-3 stories, asymmetrical shape, a steep Mansard roof, wrap-around porches, bright colours. Where to see it: Many a home in the UK, the US and Australia. What to say: It must be tough work cleaning all those panels on those Sash Windows. Beginning in the Middle East in the 7th century Islamic architecture varies greatly depending on the region such as Persia North Africa and Spain. A Mosque is the best example of Islamic styles including the pointed arches, domes and courtyards. Decoration on flat surfaces take priority as the Koran forbids three-dimensional representations. Key features: The horseshoe arch, geometric designs, more focus on the enclosed spaces and interior rather than exterior, perforated screens. 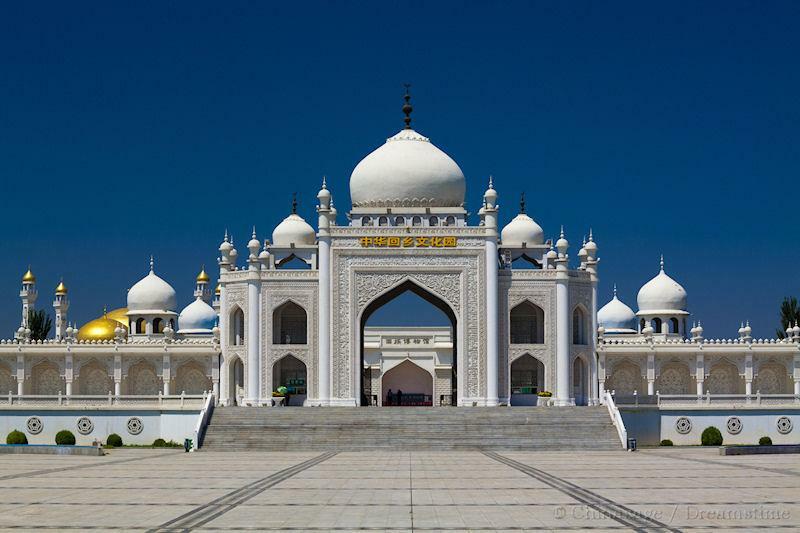 Where to see it: Hui Mosque in China. What to say: I love the geometric design on this Moorish wall. Also known as Norman Architecture it emerged across Europe in the late 10th Century. The most famous feature is the rounded arch, typically found in the Roman-style churches, of which are the main survivors of the period. Key features: Rounded arches, repetition of rows of round-headed arches, stylised floral and foliage stone decorations and cable moldings around doors in the style of twisted rope. What to say: Check out the barrel vaults on that church! Originating in the late 16th century in Italy, Baroque was a departure from the more formal Romanesque style in that it was more emotive, ‘showy’ and aimed to appeal to the senses. 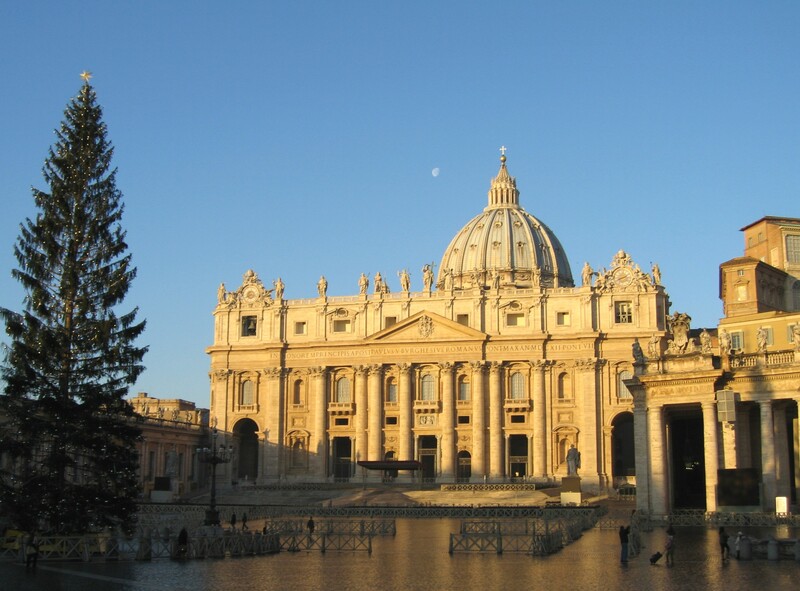 As part of the Counter-Reformation the architecture was an attempt to celebrate the Catholic state. Key features: Broken pediments, ‘broken’ at their apex, sometimes with a cresting ornament placed in the centre, elaborate ornamentation, paired columns, convex and concave walls. What to say: Giant Keystones above windows are my favourite. Tudor architecture is the final style from the medieval period in England between the 1400s-1600s. While the Tudor Arch or the Four-Centred Arch is the distinguishing feature most people would recognise the timber-framed houses of the Tudor era. Key features: Thatched roof, Casement windows (diamond-shaped glass panels with lead castings), masonry chimneys, elaborate doorways. 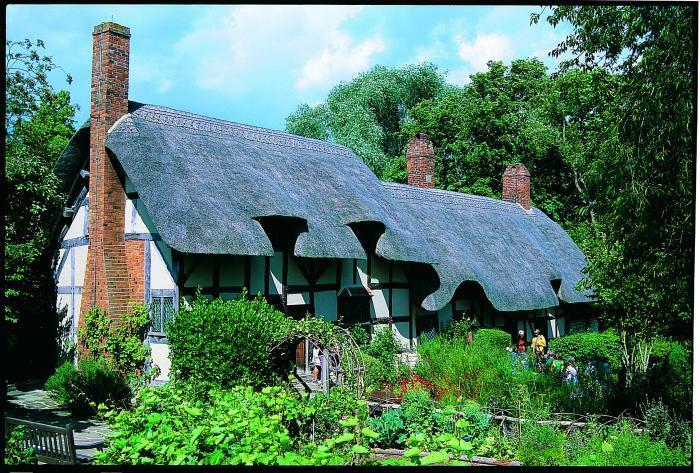 Where to see it: Anne Hathaway’s cottage, Warwickshire, England. What to say: That’s a substantial ‘overhang’ on that there Tudor house. Originally an art school in Germany in the early 1900s the Bauhaus movement held the idea that all art and technology would be unified under the idea of simplistic design and mass-production. Rejecting decorative details the designs favoured function. Flat roofs and cubic shapes were key. The Bauhaus principles of cubic shapes and angles can be seen in the modernist designs. Key feature: Cubic shapes, primary colours of red, blue and yellow, open floor plans, flat roofs, steel frames, glass curtain walls. What to say: Form follows function. Considered a response to Baroque and Rococo, Neo-classicism emerged in the mid 18th Century and aimed to bring back a nobility and grandeur to architecture. Inspiration was taken from the classic styles of Ancient Greek and Roman buildings and design. Simplicity and symmetry were the core values. Key features: Grandeur of scale, blank walls, excessive use of columns, free-standing columns, large buildings, clean lines. Where to see it: Casino Marino, Malahide. What to say: The more columns the better! Influenced by classical styles, the Renaissance style appeared in Italy during the 15th Century and was characterised by harmony, clarity and strength. The designs were intended to reflect the elegance and ideals of domestic life and clues were taken from the Roman ruins. Key features: Square buildings, flat ceilings, classical motifs, arches and domes, Roman-type columns, enclosed courtyards, arcades of vaulted bays. What to say: It’s good to see all the Classical Orders are in place on this building. Beginning in the mid 12th Century, Gothic architecture borrowed flourishes and features from previous styles and used them all together. More decorative than classical styles, walls were thinner, columns more slender, windows adorned with stained glass and designed so to draw the eye upwards. Key features: Height and grandeur, pointed arches, Vaulted ceilings and light and airy buildings. 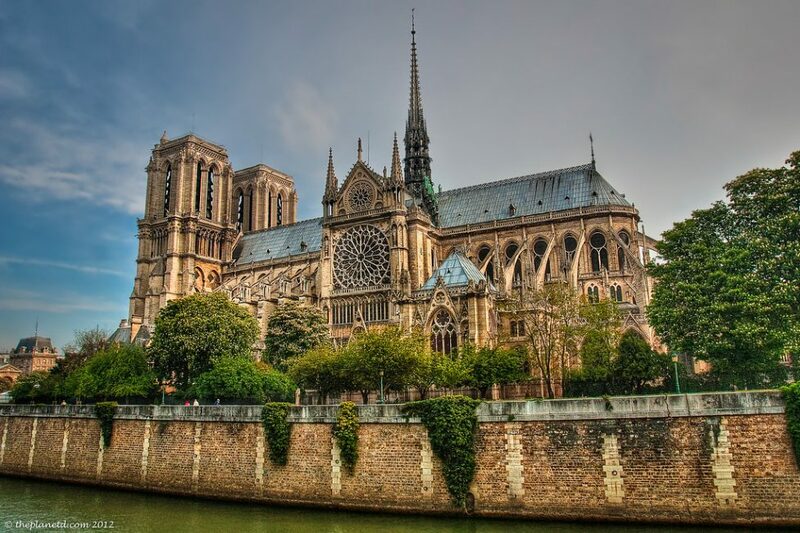 Where to see it: Notre Dame Cathedral, Paris. What to say: Those Flying Buttresses are wonderfully decorative. Modernism is a blanket term given to a movement at the turn of the 20th Century and can include styles such as Futurism, Post-modern and New Classical. Forms were intended to be free of unnecessary detail and focus on simplicity and there is an honouring of the materials used rather than concealing them. Key features: Lack of the decorative, low buildings, use of modern materials, interaction with interior and exterior spaces, use of sun and shading for human comfort, use of glass and natural light. 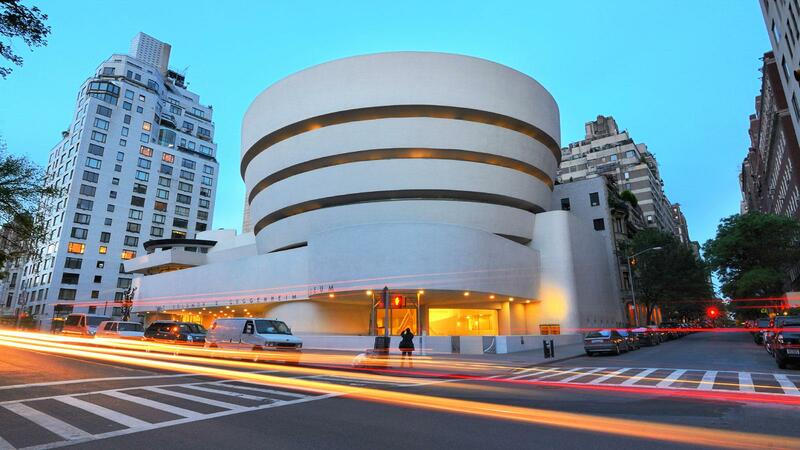 Where to see it: Guggenheim gallery, New York. What to say: Such an honest use of materials.